Comments: Ruth D. Bates (Nee: ) | Dayton Oh USA | 1941-1960 | Comments: All three females are sisters, Ruth, Wilma and Blanche Bates. 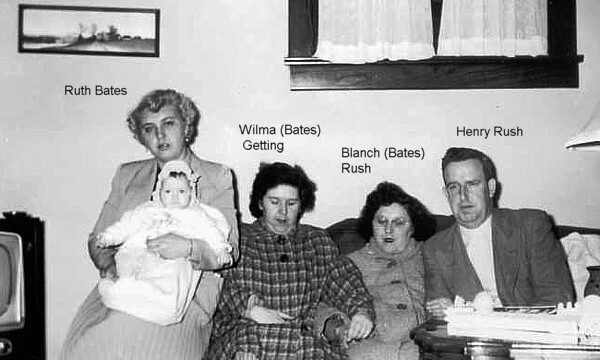 Wilma married Harold Getting, Blanche married Henry Rush. Ruth never married.